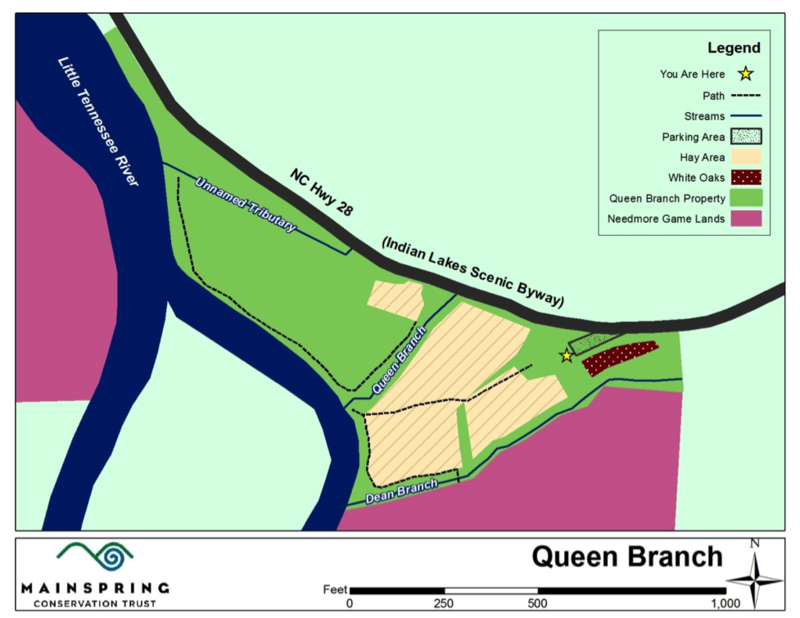 The Queen Branch parcel, which is a restoration site for mitigation purposes, was gifted to Mainspring by Duke Power in June 2004. 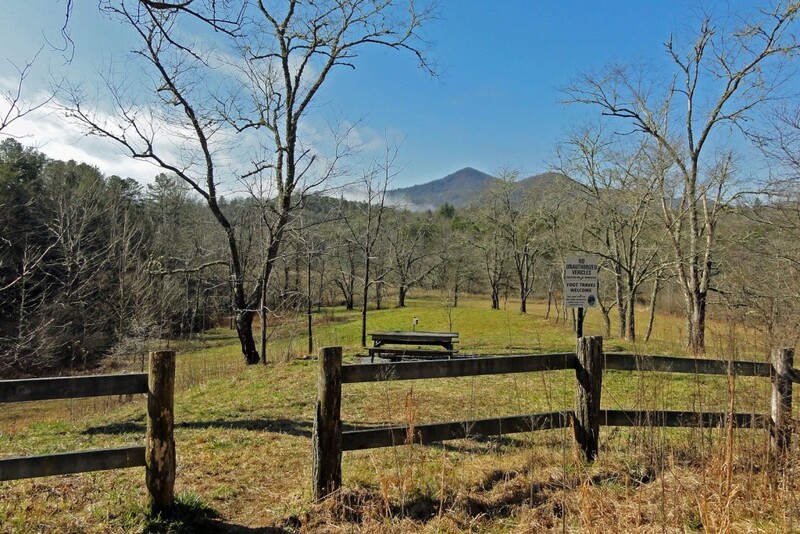 Mainspring donated a conservation easement on the property to the State of North Carolina via the Clean Water Management Trust Fund, and has managed the property for scenic beauty, exceptional water quality and aquatic habitat, productive farmland, public recreation, wildlife habitat, and historic qualities. The property is 16 acres with 1,600 feet of Little Tennessee River frontage just upstream of the Lost Bridge Tract, which Mainspring acquired in September 2003. The floodplain parcel has open meadows and wetlands and a significant archaeological site. This project is made possible in part by a grant from the Blue Ridge National Heritage Area Partnership. Mainspring is happy to have you visit and explore the Queen Branch Property. Please respect our policies. What we allow: foot travel, hunting, fishing, swimming (at your own risk), camping (by permission only; email us for more information). What we do not allow: In order to protect the water, plants, and soils; boat access, all-terrain vehicles (ATVs), mountain biking, and horseback riding are not permitted.